Pls update the plugin to the latest version and I would like to buy it. Thanks. Does this null mean you can use the pro templates? Yes, you can use all premium features. Yes, it does. It’s just not going to ask you for the activation key. Updates are going fast, can we get the latest one, please? I don’t seem to be able to download the latest version of this although I bought it. Do we have to buy updates as well? Yes, one download costs 10 points, you should buy more points for lower download price. The last version nulled, don’t allow insert layout from library. Now plugin check the license and return error. Can fix this? Thank you. Unfortunately, we can’t fix that at the moment, sorry. In the new version 1.42.2 have you solved the problem of inserting the layout of the library? 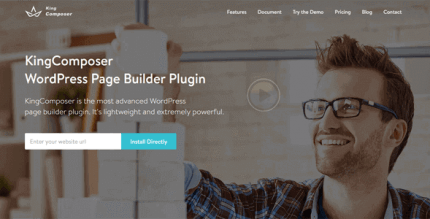 I have purchased the pro version of this plugin and I think it’s the best lightweight visual builder plugin with tons of options. There are add-ons you can use or purchase after. Hey! Does this come with access to premium templates and free continuous updates? Hello, PRO-elements is availabe, but PRO-template will not be available unfortunately. Will that be resolved anytime soon? Hello, yes, we have resolved PRO-templates issue. Now everything works fine. Great! Do you now advise that i should go ahead and order for it without issues with Pro templates? Hello! I’ve purchased the Elementor Pro plugin. While trying to upload the first plugin “Elementor”, I’m getting the following error > “The uploaded file was only partially uploaded.” The second plugin “Elementor Pro” installed fine. Delete Elementor Free from menu “Plugins” and try to upload again. Hi guys, thanks for nulling this one for us, it works great… Just one thing… the header templates don’t work, an error pops up saying “invalid licence id provider”… But all the other templates do work. Hello, we’ve already fixed that. Hi, you have fixed the problem with the PRO library? Can I use/import ALL the template library in page without error? Thank you. Hello, yes you can use PRO library. Because you must use nulled version of free plugin too. Reinstall it from package that you downloaded from us. when I want to add a pro template to a page I get invalid license message. You must install nulled version of elementor free. Genuine One guys, Have to study well before doing all things. I Just did everything wrong and blamed them. After downloading Just Unzip the folder and zip again, you have to use the elementor free from wp null to use the premium themes and all. What is free exactly inside? I can purchase Elementor Pro if i try to open the elementor builder it will not work and cant open its loading and cant open plzz help me. It seems you have incompatibility with your theme or plugins. 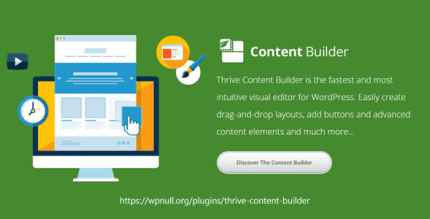 Try to change theme and disable all others plugins. cURL error 60: SSL certificate problem: self signed certificate. Getting this error while downloading Pro template, Will you please help? Anyone already purchased this? I purchased 10 points and it was showing on the dashboard. But downloading the plugin button still was disabled. I messaged the support and also raised support ticket. No response received. When I checked today, it shows zero points in my account. It looks like a scam of the century. Hi, as we see your points was already added. Please click “Purchase for 10 points” and then click “Download” button. Sorry, I understood. 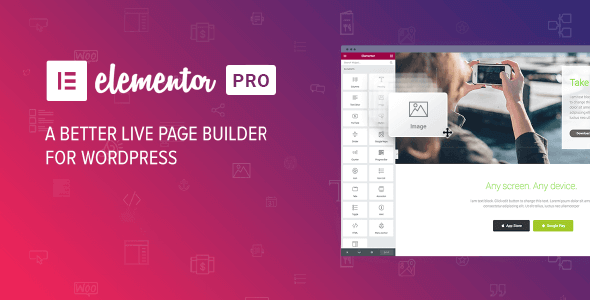 what is the difference between elementor free nulled and pro nulled? You need to install both free and pro versions. v2.5 is out. can we have it? I buy today but the file no have style.css and can’t instaled it! Maybe because this is not a theme? Unpack package with any archivator (WinRAR, WinZIP, 7ZIP, etc.) and find inside installation files.